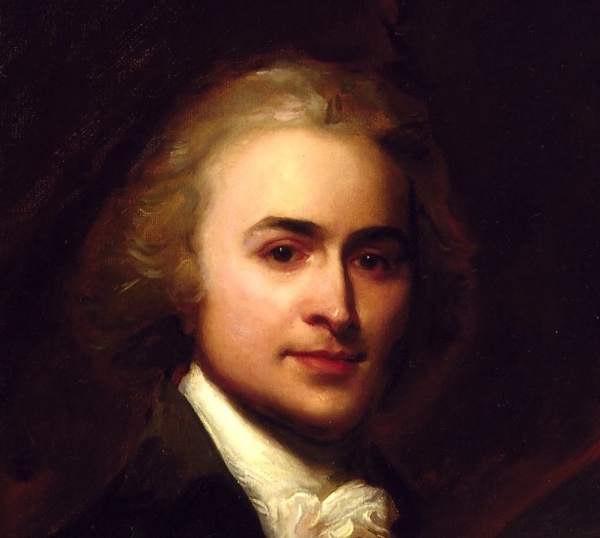 Born on July 11, 1767, in Braintree (now Quincy), Massachusetts, John Quincy Adams was the second child and first son of John and Abigail Adams. As a young boy, John Quincy watched the famous Battle of Bunker Hill (June 1775) from a hilltop near the family farm with his mother. He accompanied his father on a diplomatic mission to France when he was 10, and would later study at European universities, eventually becoming fluent in seven languages. Adams returned to Massachusetts in 1785 and entered Harvard College, graduating two years later. He then studied law and was admitted to the bar in 1790, after which he set up a law practice in Boston. 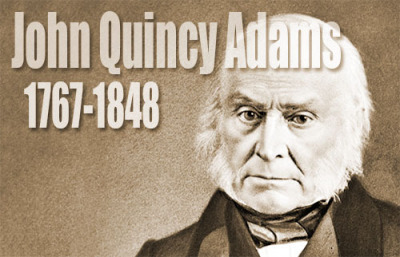 In a study conducted in 2008, a fitness chain concluded that John Quincy Adams was the fittest president in American history, thanks to his habit of walking more than three miles daily and swimming in the Potomac River during his presidency. 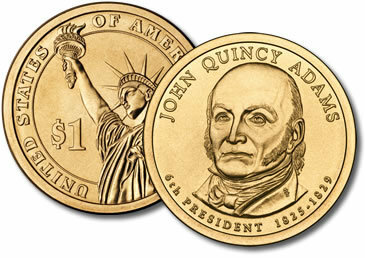 In 1817, President James Monroe named John Quincy Adams as his secretary of state, as part of his efforts to build a sectionally balanced cabinet. 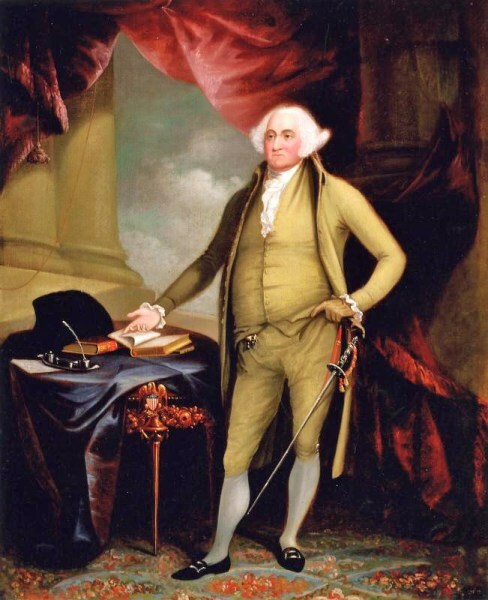 Adams achieved many diplomatic accomplishments in this post, including negotiating the joint occupation of Oregon with England and acquiring Florida from Spain. 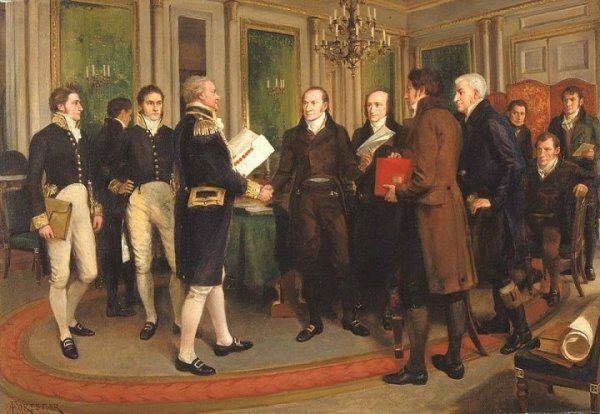 He also served as the chief architect of what became known as the Monroe Doctrine (1823), which aimed to prevent further European intervention or colonization in Latin America by asserting U.S. protection over the entire Western Hemisphere. In 1824, Adams entered a five-way race for the presidency with two other members of Monroe’s cabinet–Secretary of War John C. Calhoun and Secretary of the Treasury William H. Crawford–along with Henry Clay, then Speaker of the House, and the military hero General Andrew Jackson. Adams carried the New England states, most of New York and a few districts elsewhere, but finished behind Jackson (who won Pennsylvania, the Carolinas and most of the West) in both the electoral and popular votes. For the first time in U.S. history, however, no candidate received a majority of electoral votes, and the election was decided by the House of Representatives. Speaker Clay threw his support behind Adams, who won the presidency and later named Clay as secretary of state. Jackson’s supporters raged against this “corrupt bargain,” and Jackson himself resigned from the Senate; he would again seek the presidency (successfully) in 1828. As president, Adams faced steadfast hostility from the Jacksonians in Congress, which perhaps explained his relatively few substantive accomplishments while in the White House. He proposed a progressive national program, including federal funding of an interstate system of roads and canals and the creation of a national university. Critics, especially Jackson’s supporters, argued that such advancements exceeded federal authority according to the Constitution. The Erie Canal was completed while Adams was in office, linking the Great Lakes to East Coast and enabling a flow of products such as grain, whiskey and farm produce to Eastern markets. Adams also sought to provide Native Americans with a territory in the West, but like many of his initiatives this failed to find support in Congress. Up for reelection in 1828, Adams was hurt by accusations of corruption and criticism of his unpopular domestic program, among other issues; he lost badly to Jackson, who captured most of the southern and western votes. 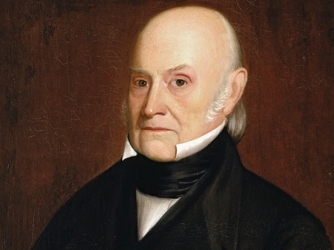 Adams became only the second president in U.S. history to fail to win a second term; the first had been his father, in 1800. He retired to private life in Massachusetts only briefly, winning election to the House of Representatives in 1830. He served as a leading congressman for the rest of his life, earning the nickname “Old Man Eloquent” for his passionate support of freedom of speech and universal education, and especially for his strong arguments against slavery, the “peculiar institution” that would tear the nation apart only decades later. After suffering two strokes, Adams died in 1848, at the age of 80.